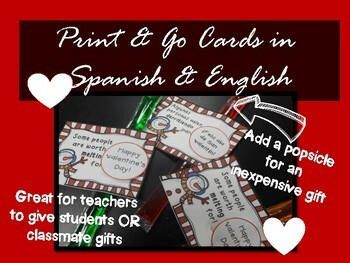 Do you need an inexpensive gift for your students for Valentine's Day? 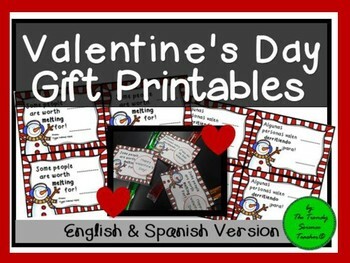 Or....do you need a quick, print-and-go gift for your kids to give their classmates? Your students (or kid's classmates) will love this Valentine treat! 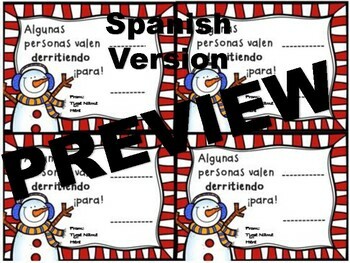 SPANISH & ENGLISH VERSION PROVIDED! on Teachers Pay Teachers for more time saving resources!